FRANKLIN, Bruce R. Morrill, 62 of Franklin, passed away on Tuesday, January 29, 2019 at Franklin Regional Hospital following a long period of failing health. Born on June 23, 1956 in Concord, he was the son of the Charles L. Morrill of Penacook and the late Fanny L. (Pelletier) Morrill. 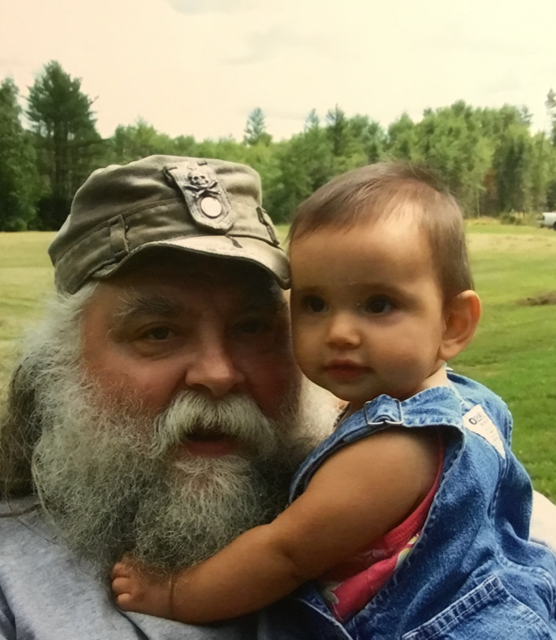 Bruce was educated in the local schools, graduating from Kearsarge Regional High School, Class of 1974, he went on to attend Florida South College and was working as a CNA, Care Provider for Community Services in Concord for over 10 years before his retirement. Bruce was a man of many talents, his mind was clever and inquisitive and he enjoyed learning how things worked and trying to fix things from small engine repair to building and shooting cannons. He headed up the Captain Morrill’s Company, a reenactment troop who loved to attend French and Indian War reenactments as well as Revolutionary War reenactments. Bruce led many bible studies over the years and was part of a large diverse online community where he spread the word of the gospel through his facebook page called Fishers of Men. He was an avid artist and hobby cartoonist, his creations will keep his family laughing for generations to come. Besides his mom, Bruce was predeceased by a daughter, Adena Morrill Casanave and a sister, Corrine A. Ladieu. He is survived by his wife Cynthia (Stevens) Morrill of Franklin, with whom he shared over 16 years, sons, Michael Morrill of OR, Charles Bruce Morrill and his wife Sarah of Franklin and Christine Nicole Morrill of Franklin, sisters, Marie L. Eldridge and her husband Ronald of Tilton and Shawne M. Randlett and her husband David of Laconia, eleven grandchildren as well as several great grandchildren, nieces, nephews and cousins.